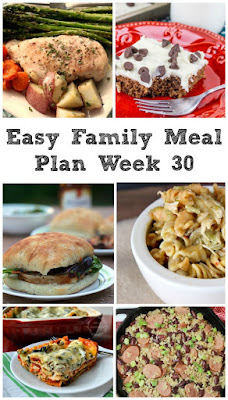 This week's menu is planned! 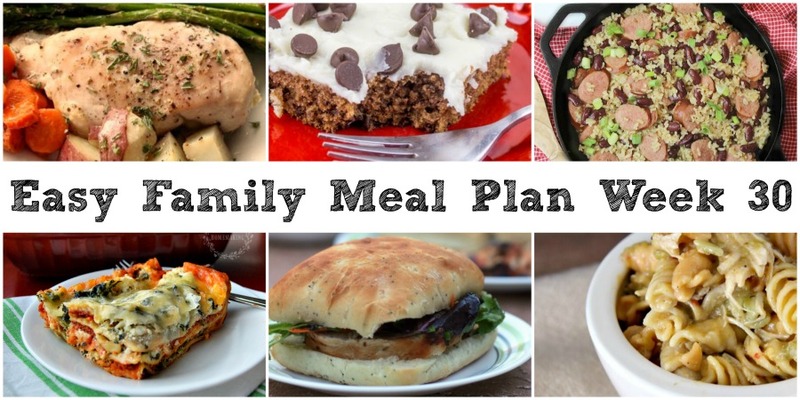 We have 5 family friendly dinner recipes and one dessert ready for you! It's August?!?! How can that even be? This month is going to be hectic but fun. There are a lot of big changes in the works at our house, so it is going to be a little bit of cram in as much as we can before next month combined with enjoy life as it is. So we have fun things planned like hopefully a backyard campout, a trip to the zoo, watching Uncle Zach in a bike race and more fun things. Here on the blog we have a lot going on as well. Today we shared some tailgate recipe ideas and Monday we kick off a week of farmers' market inspired recipes. We are also working toward #appleweek. Last year was so much fun, we couldn't wait to go again! It won't be until the end of September, but the recipe research and development has already started. 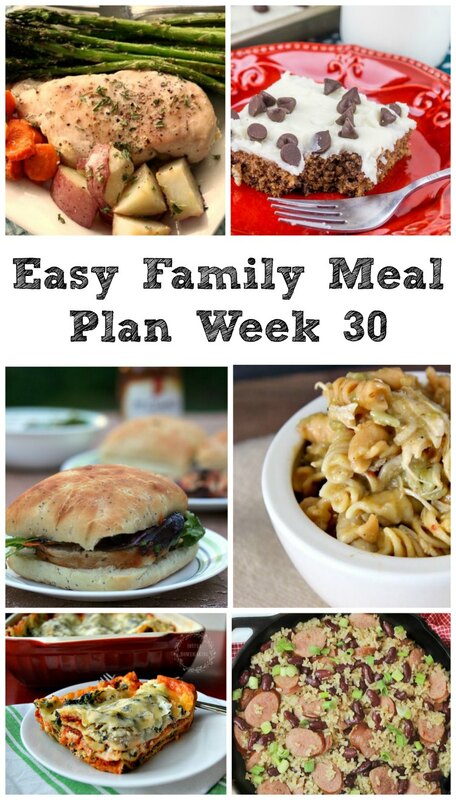 So now that we know what kind of fun things we have to look forward to, it's time to share the menu for the week! I have a newfound love for sheet pan dinners. I am actually going to share one with you this week. 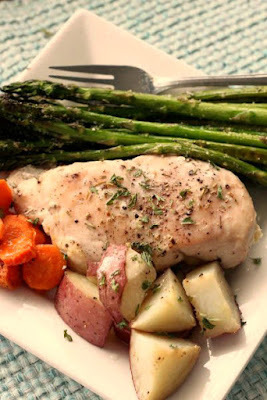 But I can't wait to give this Sheet Pan Garlic and Rosemary Chicken and Veggies from Recipe Treasures a try. 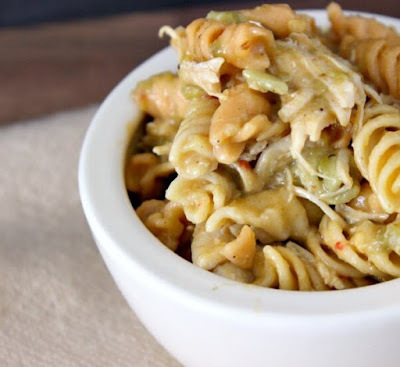 This Easy One Pot Jalapeno Nacho Pasta from Tastefully Eclectic definitely has my attention! 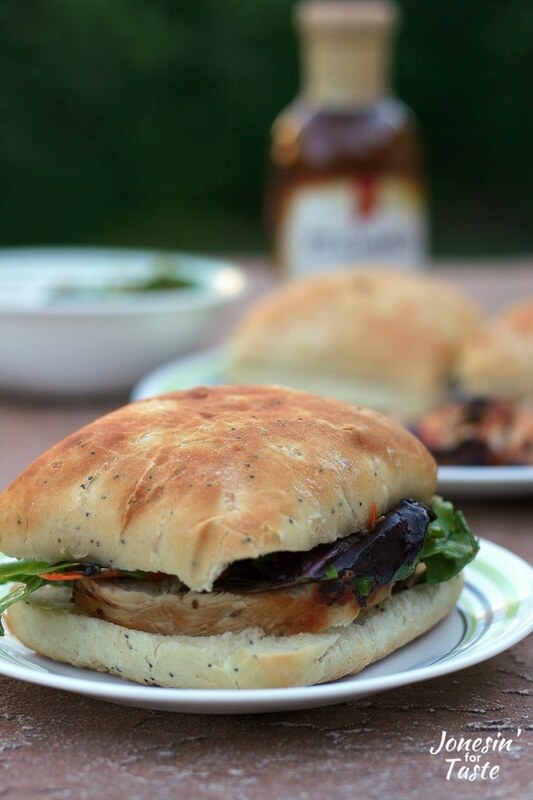 This Easy Sesame Grilled Chicken Sandwich from Jonesin' for Taste will be a hit. 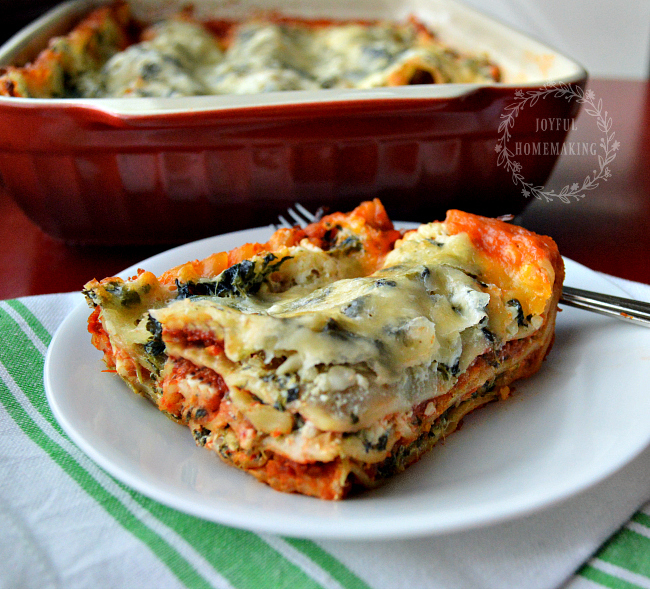 Meatless Spinach Lasagna from Joyful Homemaking will be a perfect way to fill up our bellies after a hard day's work! 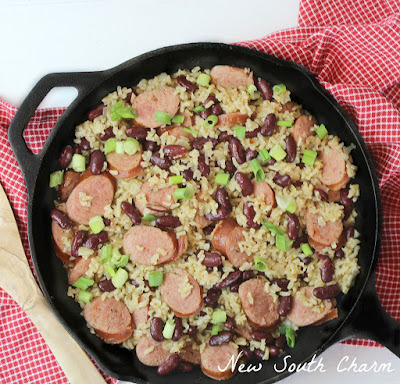 The Easy Red Beans and Rice from New South Charm looks full of flavor and easy is always good! 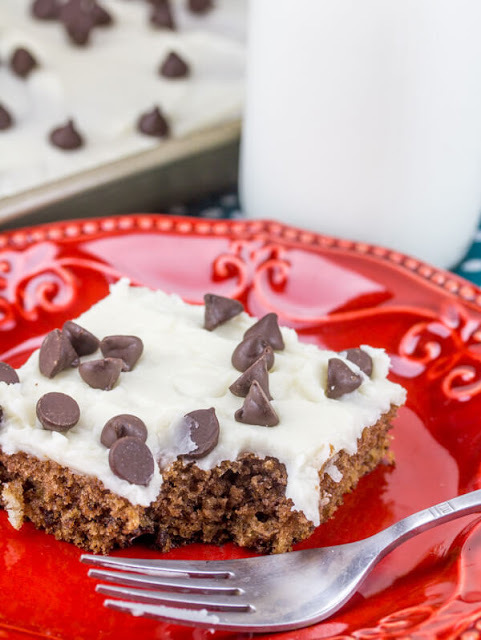 To round out the week, we will celebrate with this Chocolate Chip Cookie Dough Sheet Cake MiMi developed! Great recipes. How fun that you are sharing the chocolate chip cookie dough cake. Families are going to love it!